Where Regal Road and Springmount Avenue meet in Toronto, there’s quite a bit of pavement, and, importantly, all-way stop signs. The problem is that not a lot of drivers stop, probably in part because of all that space, and because it’s a rush-hour alternative to busy streets nearby. Some residents recently took it into their own hands to change that. 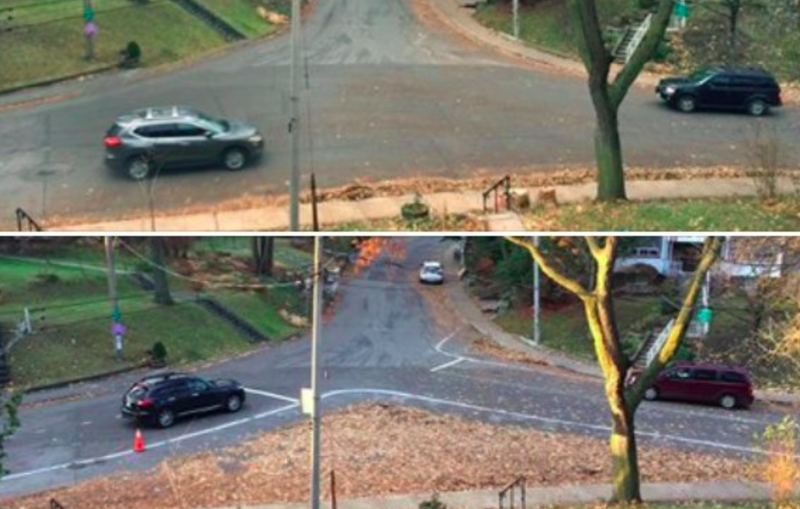 Their solution involved a lot of chalk, leaves, and children, who they corralled to help put the leaves in place and lay down the chalk, according to the CBC. One of the residents, Dave Meslin, took some photos of the difference and tweeted them, telling the CBC that their solution worked so well they decided to keep it up for longer than the single day they had planned. What’s impressive to me about all this is the math the residents did, and how exacting they decided to make their new lanes. Residents are now talking to local officials about turning the space into just that, though city officials also suggested that, if you live in Toronto, consider calling them first before going rogue with some chalk and leaves. Meslin, for his part, seems to have no regrets. “There’s a certain risk aversion in the bureaucracy … and it’s our job to push against that gently and politely, but firmly,” Meslin said. That all sounds like the Canadian way.